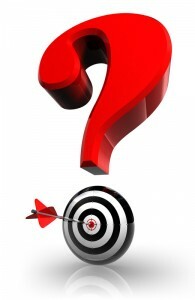 Home » Blog » 12 Strategic Thinking Questions That Yield Big Results. 12 Strategic Thinking Questions That Yield Big Results. The Bonus Question Is The Punch Line. What are the 10 most important questions to ask myself in this retreat to take my business (and life) to a more meaningful, impactful and prospering level in the new year? For 3-4 days, I spend time by the ocean simply reflecting, letting go of any goals, plans or expectations. I simply allow myself to just be. To be a blank canvass upon which new insights, penetrating questions and inner promptings begin to emerge. Every year I walk away with powerful questions that, simply by asking them, transform my thinking, direction and excitement for the future. I share that with you for one reason only. To embrace and utilize the power of questions within yourself and your organization on a daily basis. Why Focus on Questions, NOT Answers? In keeping with this month’s theme of building your strategic thinking muscle, below are 12 provocative strategic questions to create a new future for you and your company. As you envision where you want your company to be in 10 years, what BHAGs (big hairy audacious goals) do you see your company achieving? In order to achieve your BHAGs, what innovative ideas and strategies did you have to come up with? What “enemies” (external or internal) will you have to defeat along the way to achieve your BHAGs? Imagine it’s 5 years from now. What are your competitors envying the most about your company? What do your competitors respect the most about your company? What do you envision the future needs of our customers to be in 5– 10 years and how do you expect to meet them? What is your company the “best of” in your field or industry? When it comes to customers, how is your organization shifting from a “how many” to “who is our most profitable customer” focus? How are you staying on top of changing global, competitive, market, economic and technology trends to uncover hidden opportunities? How are you breaking down big change in your organization into pieces too inconsequential to fail? How would you change if you HAD TO get 10x better/ bigger in the next 12 months? What do you have to do less of, to achieve more in your company? By no means are the above questions exhaustive. In fact, they barely scratch the surface. What provocative questions can you ask within your organization to build stronger strategic thinking capacity? Share your own provocative strategic thinking questions and we will add them to this list with your name. Posted by Denise Corcoran on March 4, 2014 in Change Management, Fast Growth, Goal Achievement, Leadership Performance, Mindset, Organizational Performance, Strategic Thinking, Vision and tagged BHAG, competition, customer needs, inner game, leadership performance, market trends, organizational performance, power of questions, questions, results, strategic thinking, visions.